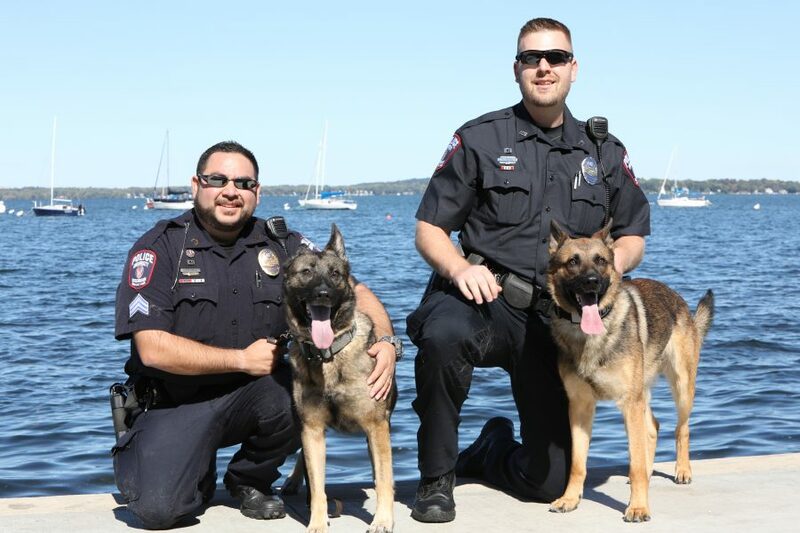 The UWPD K9 unit is comprised of three K9 teams — each has a specialty and can be seen at various times and events around the campus area. Two of the K9’s are explosive detection K9’s and are also trained in human tracking. Most commonly, the explosive detection K9’s can be seen providing security at large events on campus. Many times their noses are put to work hours prior to large events. They also respond to suspicious item calls, bomb threats, and can provide a variety of other services. Our third team, the narcotics K9 team, is most frequently utilized on traffic stops. 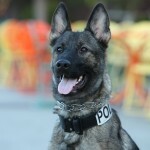 All of the K9’s are certified annually by the North American Police Work Dog Association and live with their handlers. The K9s love to interact with the community and play an important role in making the campus and surrounding community safe. Presentations involving the K9 unit can be set up by contacting one of the K9 handlers.